Help! My AC Clicks But Won't Come On. A Florida Tech Explains Why. Here’s the situation: You turn on your air conditioner only to find that your indoor unit is blowing warm air into your home. Then you walk outside to find that your outdoor unit makes a clicking noise but won’t come on. So what’s the problem? Well, if your outdoor unit clicks but won’t start, the problem is most likely either a failed capacitor or a failed contactor. Unfortunately, you’ll need a professional to repair either of these parts. We don’t suggest attempting any repairs yourself as a capacitor stores very high voltage and can severely shock you. But we can help you determine which is your issue before you call in a professional. First, though, let’s take a quick look at what both of these important AC parts do. Need a Florida tech ASAP? Just contact us and we’ll send over a professional right away. 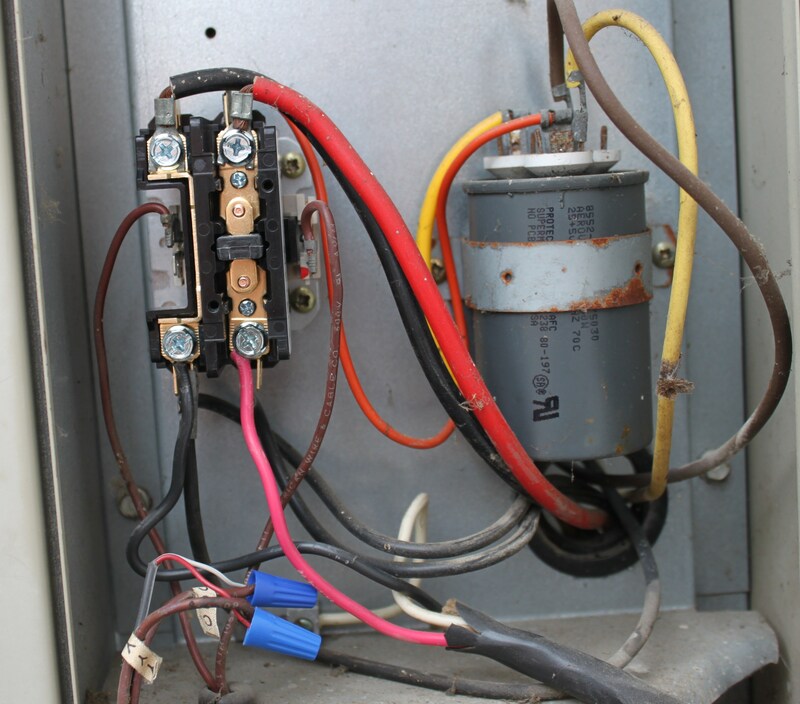 Your AC contactor and capacitor both work separately to help turn on the components in your outdoor AC unit. The contactor is basically a big switch that turns your compressor and condenser fan on and off whenever it gets the signal from your thermostat. Your capacitor, on the other hand, is a large battery that stores electrical charge and releases that energy to give your compressor the electrical “kick in the pants” it needs to start running. But if either your contactor or capacitor go bad, they’ll produce a clicking noise as they try unsuccessfully to start your outdoor unit. Note: Not all air conditioners have capacitors, some AC compressors can start and run by themselves. Your capacitor and contactor are stored inside a panel on your outdoor unit. Warning: Do not attempt to remove the panel unless you are a professional. Got a clicking air conditioner and want to pinpoint the faulty part? Well, the easiest way to do that is to listen to the kind of noise your outdoor unit is making. If you hear a clicking noise followed by a soft hum or buzzing noise, your capacitor is likely the problem. You see, that buzzing noise you hear is a motor trying unsuccessfully to turn on without the extra electrical charge from your capacitor. If you hear a click when cooling is called for but no humming or buzzing, your contactor is likely the problem. If you need help replacing your contactor or capacitor, we’re here to help. Just contact us. We’ll send out a professional immediately to correctly identify the bad part and replace it. Why Is My Air Conditioner Tripping My Circuit Breaker?